There are the cooking and recipe apps where millions of users can upload hundreds of versions of the same meal, vote, save, and adjust, and then there are the apps where you only see a select list of recipes curated by professional chefs who have perfected everything to the maximum. Panna falls into that second category. The service has been available on iOS and the web for a long time, but it has just now landed on Android. 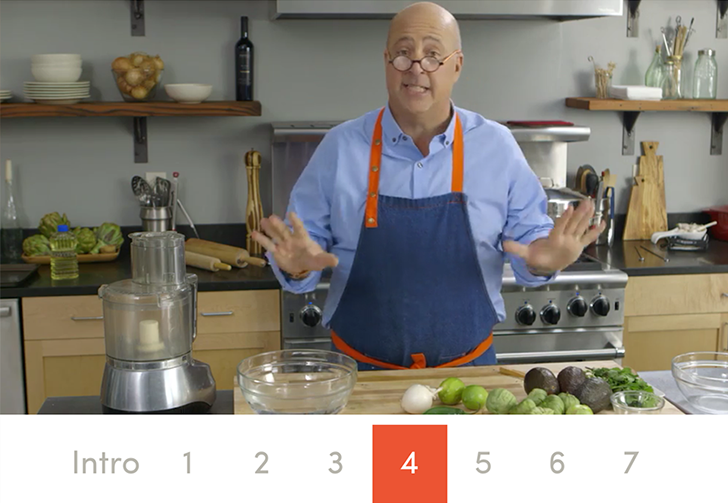 It offers more than 400 video recipes with step-by-step instructions from some of the most renowned chefs in the world with insider tips and hacks, plus private classes that teach you everything you need to know about specific topics like cooking Italian or mastering bread baking. The online cookbook, which relies on user recipe submission and group moderation, was recently finalized for publication by O'Reilly, meaning it's now available both on the web and in print from various retailers. 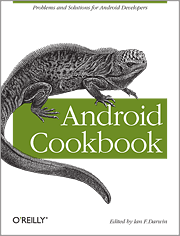 In its 22 chapters (plus an "other" category available online), the cookbook already has nearly 300 recipes for those eager to learn Android, and it continues to expand. Once again, we're teaming up with informIT to give away yet another book. This time around, it's perhaps what you'd call a higher-level book that might be especially useful to those familiar with developing, though it's still accessible to those just starting out. 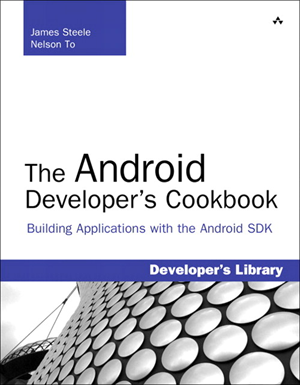 The book: Android Developer's Cookbook: Building Applications with the Android SDK. Written by James Steele and Nelson To and published in October, 2010, the book spans a whopping 400 pages. It's available in both eBook and print for $25.59 (or $24.34 on Amazon) and $31.99, respectively - or $43.19 for both. Want to get started building applications for Android, the world’s hottest, fast-growing mobile platform?